Though not much is yet known about the film, it will see the return of key members of the series’ early entries. Arnold Schwarzenegger is slated to make another appearance as the titular android with a license to kill. Linda Hamilton—who played protagonist Sarah Connor in The Terminator (1984) and Terminator 2: Judgement Day (1991)—will reprise her role for the first time in nearly 30 years. James Cameron, the writer and director of the same two entries as well as Titanic (1997) and Avatar (2009) is also returning as a producer of the forthcoming film. Terminator: Dark Fate has no shortage of new faces, however. Tim Miller, who is best known for directing Deadpool is stepping behind the camera for the film. Hamilton and Schwarzenegger will share the screen with Mackenzie Davis (Blade Runner 2049), Natalia Reyes (Birds of Passage) and Gabriel Luna (Marvel’s Agents of S.H.I.E.L.D.). RELATED: Watch A Behind-the-Scenes Video from the Set of the New Terminator! It appears likely that Paramount and Skydance hope the return of Cameron and Hamilton in their respective roles will reinvigorate the franchise, which has struggled of late. Its most recent entry Terminator: Genisys (2015) had a domestic box office take of just $89 million. This is the worst box office performance in the series since the modest original film. Terminator: Genisys—a soft reboot of the franchise which starred Schwarzenegger, Emilia Clarke as Sarah Connor and Jai Courtney as Kyle Reese—received mixed reviews. 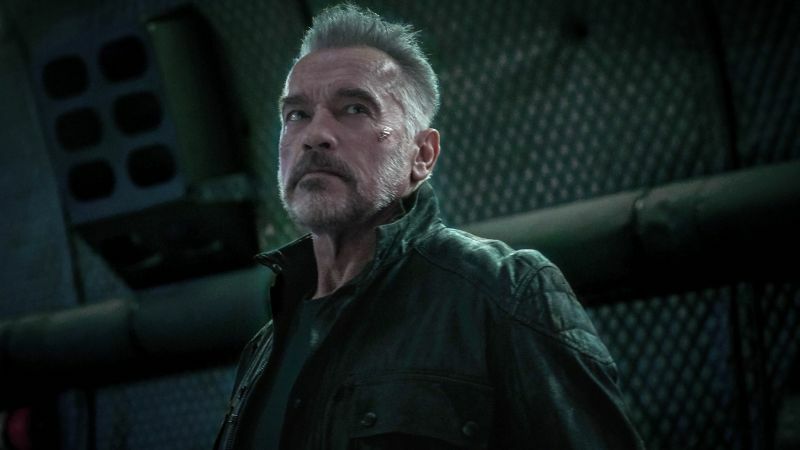 It remains to be seen whether Terminator: Dark Fate will trigger a change in the wind for the franchise, or continue the previous film’s downward trend. Terminator: Dark Fate will be released November 1.